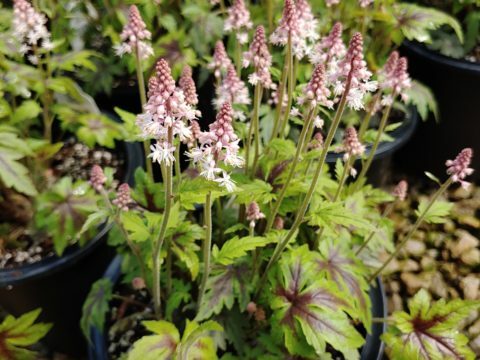 At Millcreek Gardens, our plants are grown by experienced growers who understand the unique production requirements for herbaceous perennials and herbs. 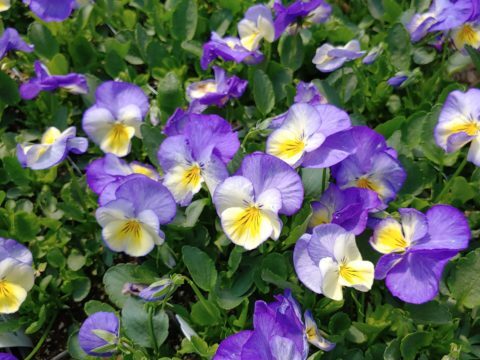 Our goal is to produce the highest quality plants that will perform and bloom in the first year for the home gardener. To achieve this goal, we are focused on nurturing a strong root system for each plant. 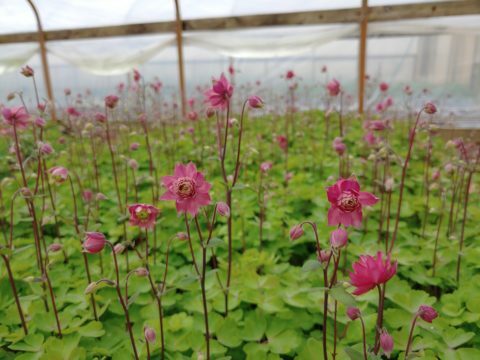 Most of our starter plants are propagated by our staff, but when needed, we source starter plants from other fine growers across the country. Our custom soil mix has been developed over many years of growing to assure good drainage, yet excellent water holding capacity. 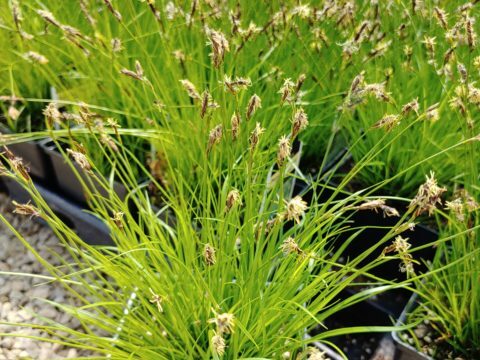 It is comprised mainly of composted pine bark, peat moss, and dairy compost, with a controlled-release fertilizer. 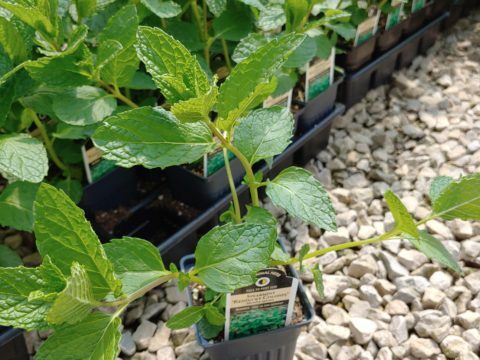 Our recyclable containers have been selected for the ideal volume to allow strong root growth, drainage characteristics, and attractive appearance. 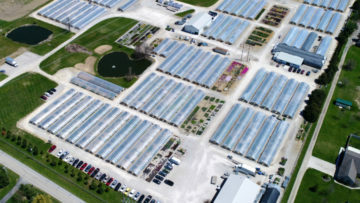 To learn about our growing practices, check our our FAQ page. 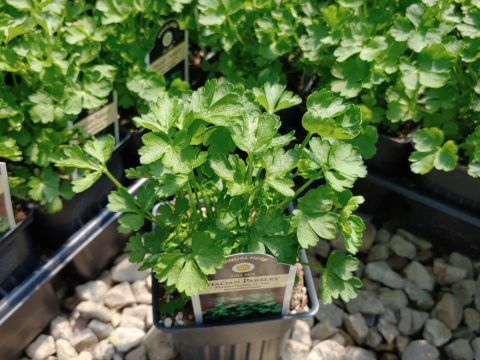 Most of our plants are labeled with a Millcreek Gardens Custom Tag. 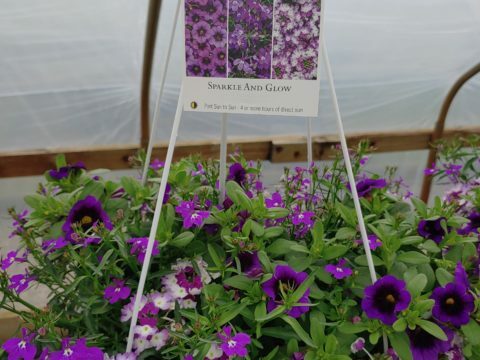 Our tags have a full color picture, Latin and common names, plant description, and a unique bar code for scanning at checkout and easy inventory control. 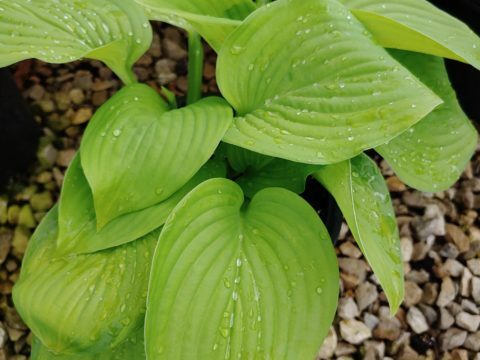 Our tags also include QR codes, which can be scanned by your customers with their smart phones to access additional plant information online. 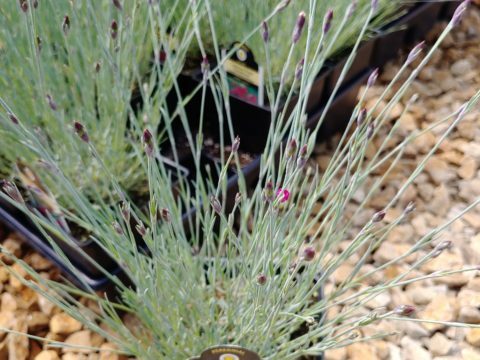 Some plants may be labeled with a different tag due to royalty requirements. In the rare case where a Millcreek Gardens Custom tag is not available, a printed stake with all of the above information except the QR code will be used. In addition, we also offer a very popular Pre-Pricing Service for customer orders for a nominal charge. Visit our Services page for details on that and other services we offer! 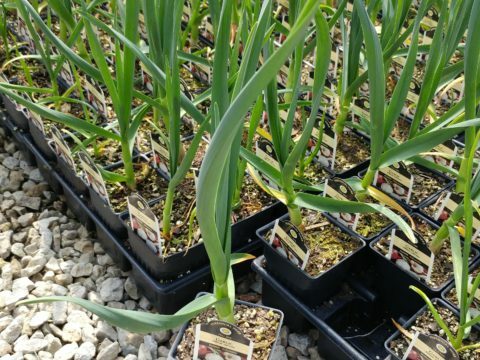 Our products are grown in many different container sizes. 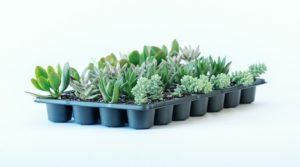 Please reference our Container Size Dimensions Chart for specific container size information including dimensions, volume, how plants are packaged, and categories of plants offered in each size. Click to: Download our availability. 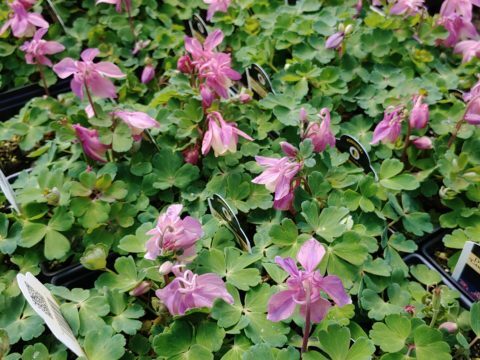 Save the document and email it back to us at sales@millcreekplants.com. That’s it! DID YOU KNOW? As you build your order in the excel document your order value and number of units ordered will be calculated for you at the top of the document? Applicable discounts and freight are not reflected in the total. 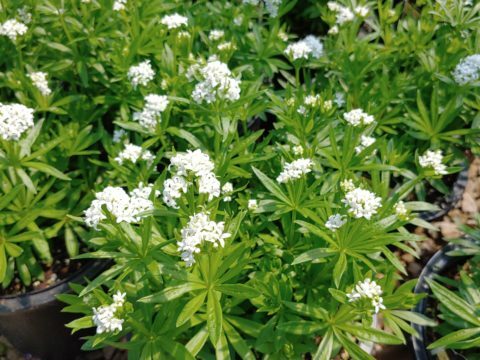 Our Availability List is organized by Plant CATEGORY (Annual, Herb, Perennial, Succulent, etc), then BOTANICAL NAME and SIZE. (ex: within Perennials you will see Coreopsis ‘Moonbeam” listed together, showing all sizes and quantities available). Please note, our online Availability does not display pricing information. To request an Availability List that includes pricing, please contact us! 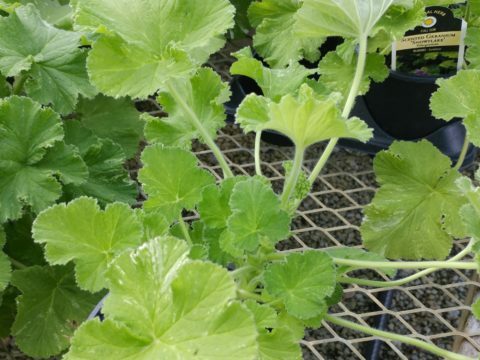 The images below are recent pictures of crops we are currently shipping! A more compact and tidy selection of Yarrow. Two toned flowers are perfect for cutting. Buds are starting to form! 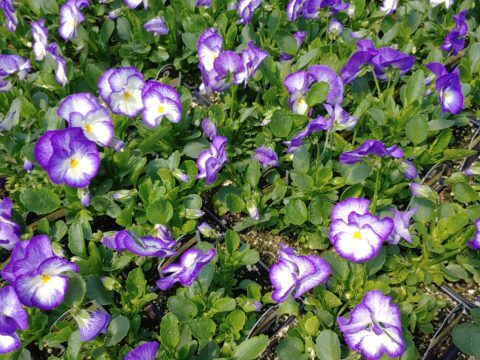 In full bloom now — a popular landscape staple! 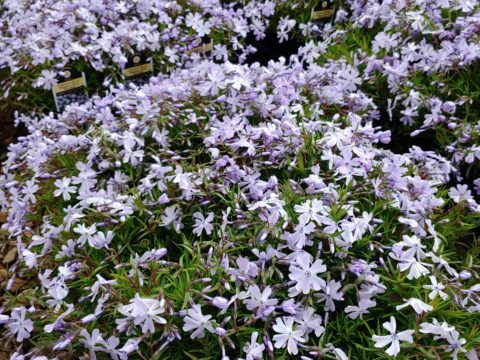 Mounds of soft, blue flowers! 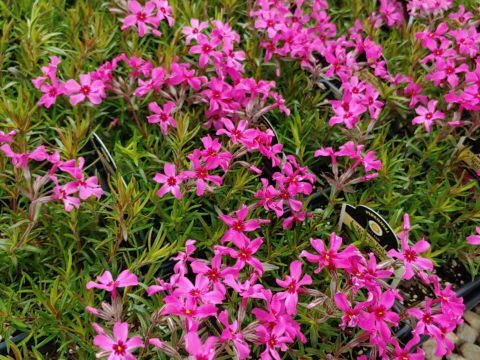 Intense pink flowers — a must for every garden. 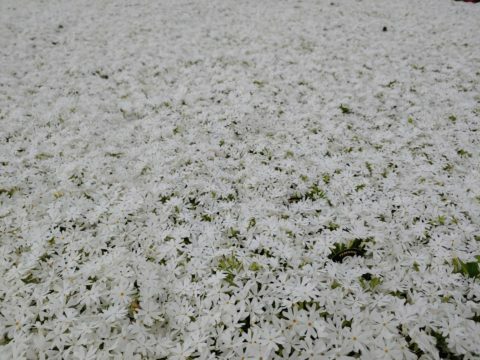 Mounds of bright, white flowers on this creeping phlox. 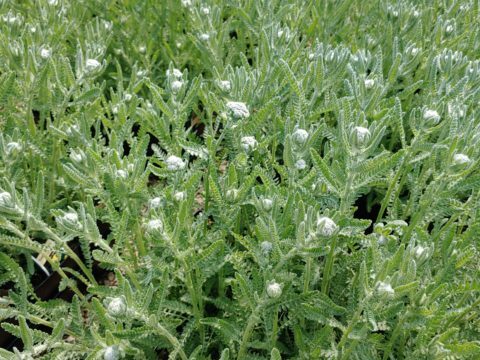 Part of the Celestial™ Series introduced for their winter hardiness, early flowering, compact habit and heat tolerance. 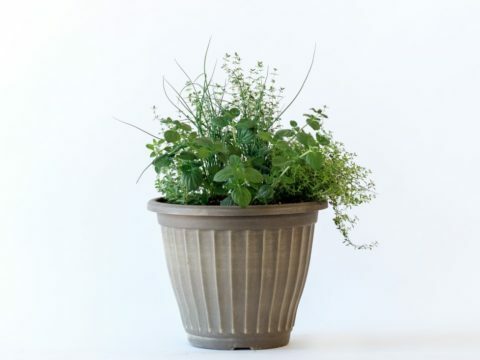 Round container in aged cappuccino color with an assortment of fresh culinary herbs. 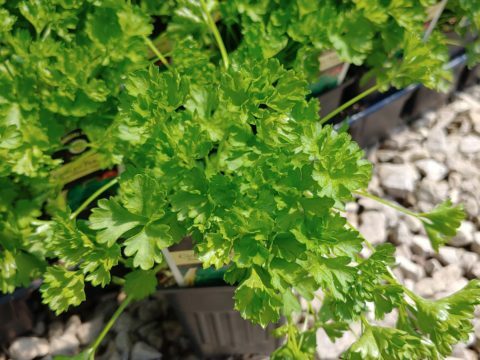 A must for your culinary gardens! 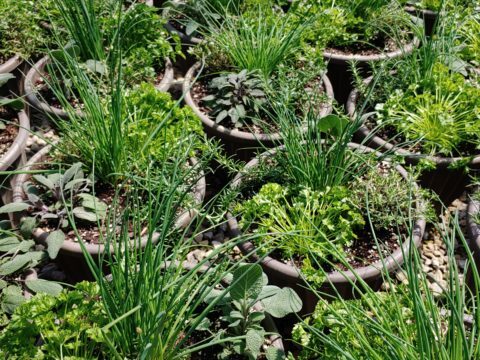 A culinary staple for your herb garden! 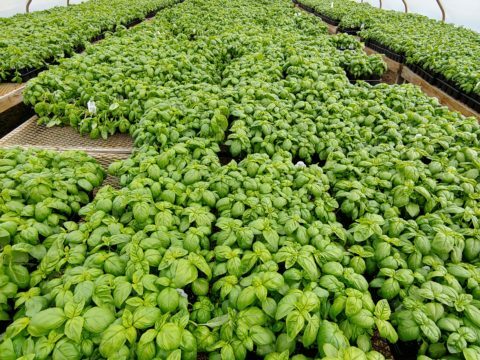 Many varieties to choose from in our basil crops. Basil is a “must-have” for anyone’s herb garden! 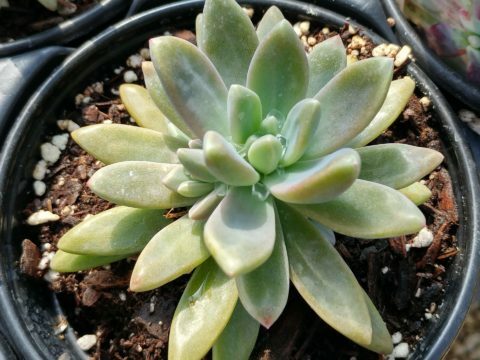 A fun succulent for containers! 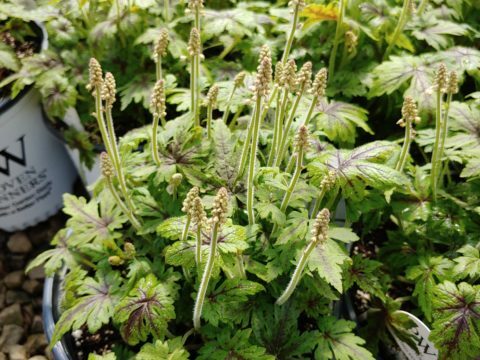 Lots of buds forming on this popular plant! 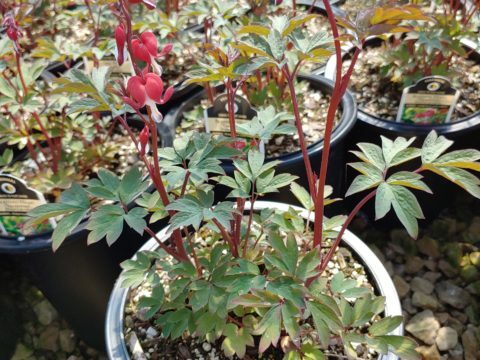 A newer variety of the old-fashioned garden favorite with deep red, heart-shaped blooms. 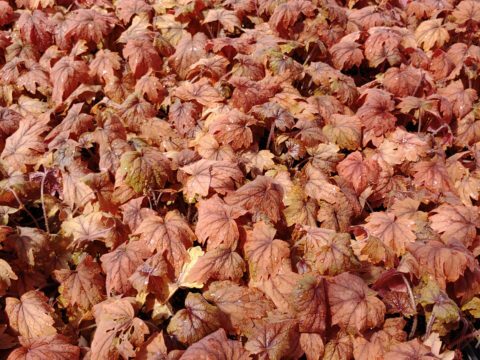 Colorful foliage changes throughout the seasons. 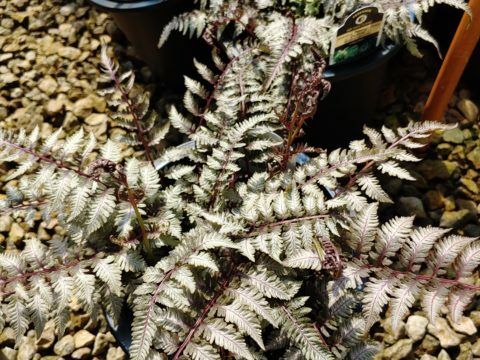 One of the most popular ferns because of its metallic foliage! Deep, raspberry-pink flowers blooming now. 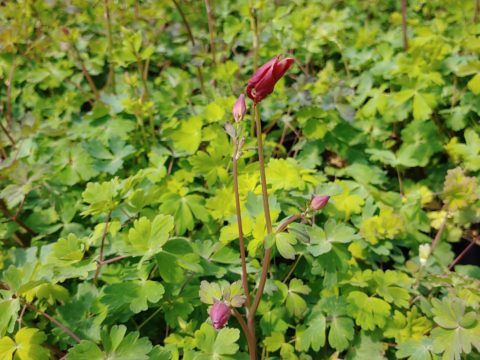 Nice bud and bloom on this clump forming variety that won’t take over your garden. 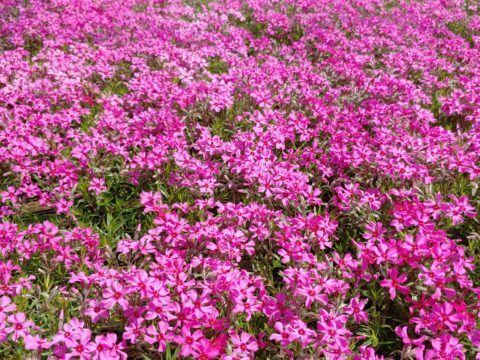 Scented, pink flowers attract birds and butterflies. 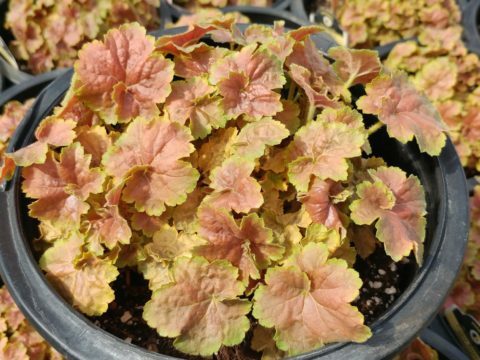 Autumn Joy is a workhorse in the garden, providing interest in the garden throughout all four seasons. Brand new! 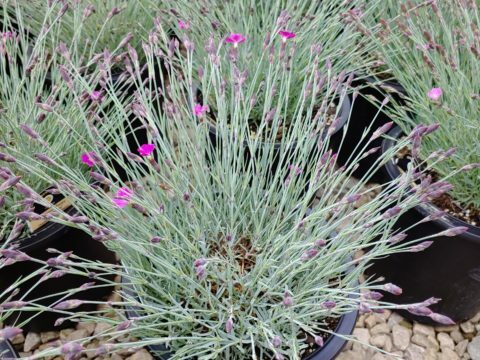 Striking, deep purple foliage with deep lavender blooms on dark stems. 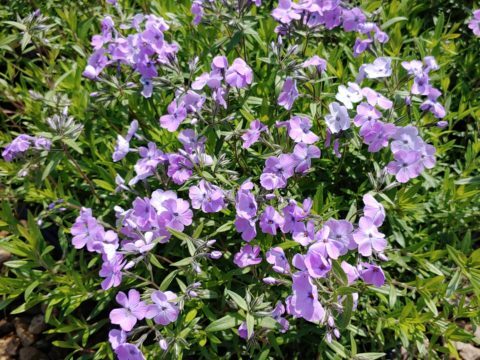 Great as a culinary herb or as a houseplant! 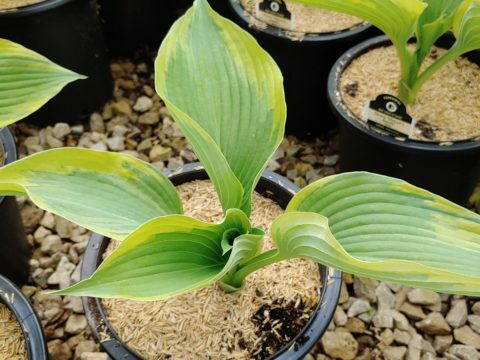 The foliage emits a lemon-scent when brushed or crushed. 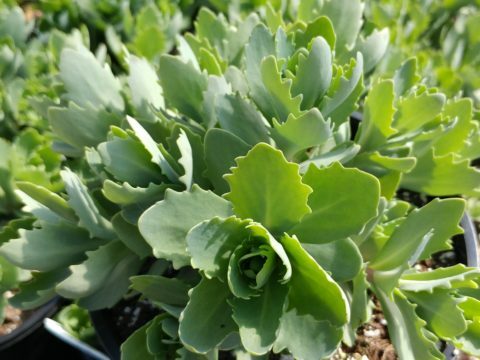 Evergreen succulent perfect for rock gardens and containers. 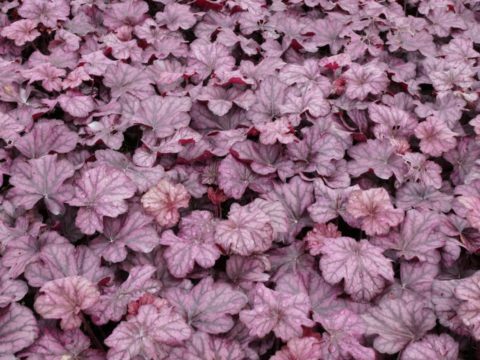 Leaves look like they were dipped in purple dye. 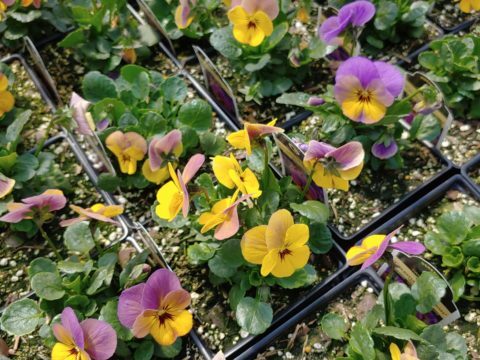 We produce more than 175 varieties of Annuals in the spring of each year. We offer several ready-to-sell decorative planters in various color and texture combinations. Our 20+ varieties of hardy Ferns add wonderful texture and color to any design. 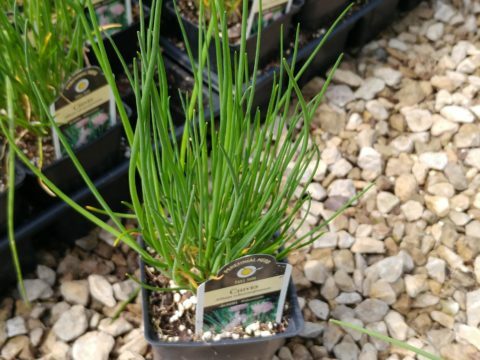 Our more than 40 varieties of ornamental grasses are a great addition to your garden. 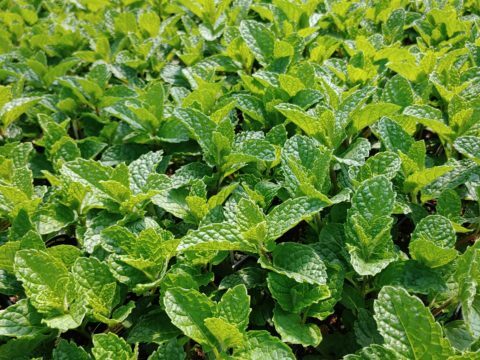 We grow over 160 varieties of Herbs, most of which have wonderful culinary uses. We offer more than 40 varieties of Garden Peonies as well as a small selection of Tree and ITOH Peonies. 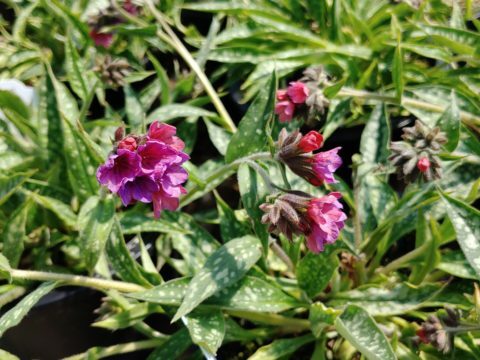 We invite you to browse our selection of more than 850 varieties of Perennials. 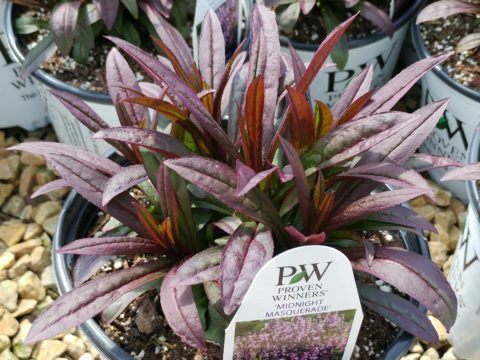 We grow 100+ varieties of Proven Winners© Perennials, one of the most well-recognized plant brands. 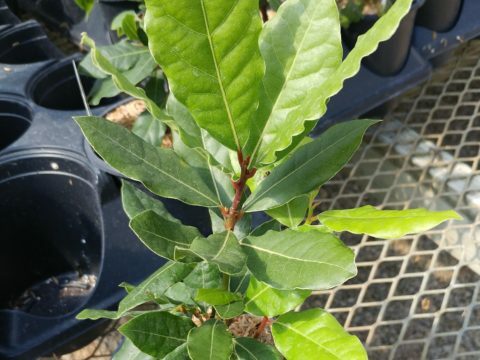 We grow more than 35 varieties of ornamental woody shrubs including butterfly bush, boxwood, spirea and more. 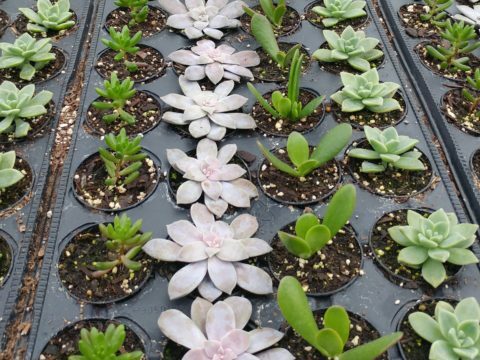 We offer more than 45 selections of non-hardy Succulents that are wonderful for adding interesting texture and color to containers and the landscape. 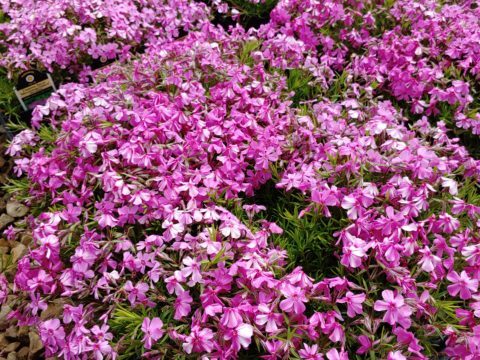 We offer more than 30 varieties of beautiful flowering vines.